Welcome to the Geikie – Windjana Way, your complete guide. A journey through a 350 million-year-old Devonian reef, home in parts to the lands best natural theatre in which to view freshwater crocodiles, themselves prehistoric yet only somewhat a blink of an eye in the timeline of this country. All of which fringes the biggest lounge-room in the world, which sparkles after dark with millions of lights and no light bulbs to change. 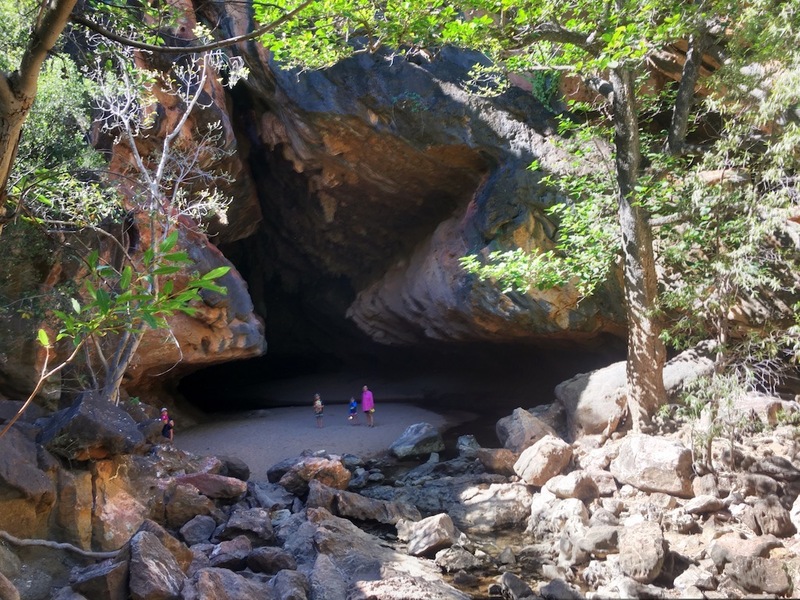 WA’s oldest cave system, in which it’s said, if you listen quietly on the breeze during the 750m passage through you’ll hear the voice of one of the Kimberley’s greatest Aboriginal figures – Jandamarra. 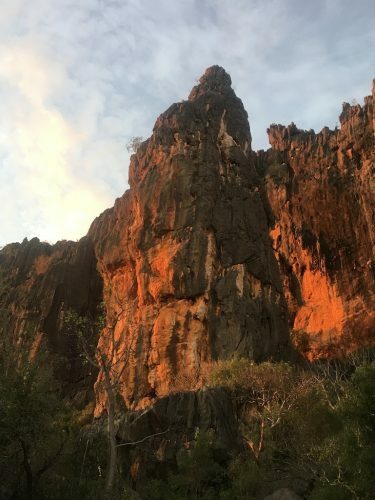 With boabs so ageless, all full of character and story, lining the track will bring you to perhaps one of the crowning glories, the Fitzroy River, as it meanders its way through an often reflective yet imposing Geikie Gorge. This is the Geikie – Windjana way, enjoy it, you must, if you’re up this way. The West Kimberley in Western Australia’s north is where you will find this intriguing and beautiful little journey. It is located pretty well in the middle between the towns of Derby and Fitzroy Crossing. You can begin this journey from either the west – Derby or the east – Fitzroy Crossing, depending on which direction you are traveling. Alternatively, you could compete the trip as a loop from Broome if that’s where you’re staying. Please Note: Please ignore Google Maps best estimate for travel time, just look at the map. Windjana Gorge National Park is located in the Kimberley Region of Western Australia. It is 145 kilometres from Fitzroy Crossing, 146 kilometres from Derby. Tunnel Creek is 38 kilometres north-west of the Windjana Gorge campground along the Fairfield-Leopold Downs Road. Sign says it all, come & enjoy. Fairfield – Leopold Downs Road is a 125 km two-lane unsealed road that runs through the Tunnel Creek National Park. It links the Gibb River Road and Great Northern Highway. As this is what we did I will write from this perspective, adapt details to suit your own situation. Broome to Derby is an easy 2hour – 220km drive. 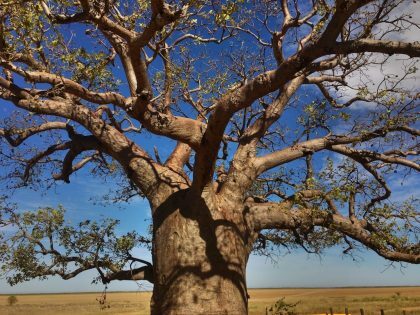 The Derby prison Boab tree makes for a wonderful morning tea stop. 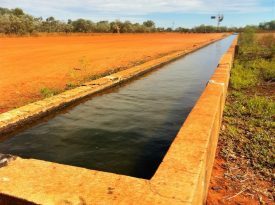 While you are in the area check out the big long cattle trough-Myall’s Bore, windmill and Frosty’s pool. Believed to be 1500yrs old. In Derby, there is not a huge amount to see, however, the town’s main street is attractively lined with Boabs and the drive out to the jetty is a chance to view the huge expanse of mud flats. Should you be in Derby early in the day, there is probably no need to stay the night. However, having said that there are a few things to fill a day with. Derby has the biggest tides in Australia and if you could time your trip with some big spring tides it is an impressive sight seeing the tide run. The Derby jetty is an interesting walk. The jetty makes for some good fishing for those so inclined. 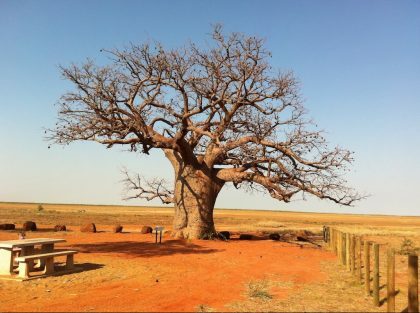 The One Mile Dinner Camp Boab is an impressive old Boab that sits on the edge of the mud flats, with a story to tell. The Mowanjum Aboriginal community is only 10km out of town, they boast a fantastic art gallery and once a year host an acclaimed festival. Top Tip: The Horizontal Falls are closer to Derby than Broome. Perhaps a flight out to view could be made part of your visit to Derby. Top Tip: The Derby visitor centre is a wealth of great information. The turn off to the Gibb River Road is 5km out of Derby, if you’re approaching from the Prison Boab it will be on your right, on your left if you’re coming from the Derby township. Once on the Gibb River Road, it’s 119km to the turn-off onto the Fairfield – Leopold Downs Road and Windjana Gorge National Park. The first 75km of this is sealed road, the remaining 44km is unsealed. However, there is a stretch of flood way that is sealed in the middle of the 44km section. 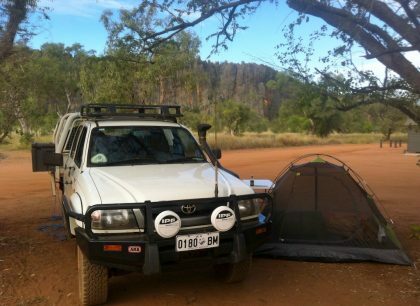 The Fairfield – Leopold Downs Road is 125km long from start to finish, the turn off into Windjana Gorge camping ground is 21km in from the Gibb River Road then a further 2km into the camping area. Windjana gorge rising above the surrounding landscape. The park is located in the Napier Range and covers an area of 91 hectares (220 acres). The range is composed of limestone and is the remains of a Devonian reef system formed around 350 million years ago. The gorge was formed by the Lennard River having eroded away a 3.5-kilometre section of the Napier Range. The range is composed of Devonian limestone. The gorge is over 100m wide and the walls are between 30 meters and 10 meters in height. The Lennard river cuts through the gorge. 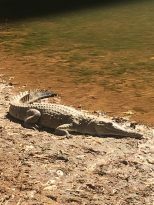 During the dry season (May – September ) it all but contracts to a series of pools, in which the resident freshwater crocodiles take full advantage. Windjana Gorge is one of the best wild locations in Australia for viewing these prehistoric survivors. Ive had enough Im out of here. There are several really achievable walks to be enjoyed. 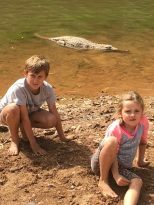 The first is into the gorge itself, the large beach like expanse will give you a beaut perspective of the enormity of the gorge walls, not to mention the crocodile viewing. Wide open spaces are for me. For the more adventurous there is a 7km return walk up along the banks of the River, through the paperback forests. Nice views of the vertical gorge walls can be had along with wildlife such as fruit bat colonies, flocks of corellas and numerous lizards. Late afternoon light is a delight. Top Tip: Well after the sunset, when all is dark and the stars are out. Grab some torches and head into the gorge, pull up a bit of sand, then turn your lights out and watch the Kimberley sky light up your world. While in there use your torches to do a bit of croc spotting, count the pairs of red eyes. You can’t book a site at the campground, it’s first come first served. There are no powered sites, but plenty of high powered views. There are showers that run on Solar hot water and flushing toilets, running water is available from numerous taps and is good to drink. The campground is split into two sections noisy and quiet, those with a generator meander over to the noisy section. Flat ground & great view – gold. Most spots are not far from toilets & taps. Top Tip: There are communal fire pits scattered around the camping ground. You do have to bring your own wood and you do have to share with others, but you can have a fire. There are both entry and camping fees to be paid upon your visit. The entry fee is $13.00 per vehicle this has to be paid if you’re just visiting for the day or staying a few days. If you are staying a few days and camping it only has to be paid once upon entry. The camping fees are as follows $13.00 per adult per night and $5.00 per child (5-16yrs) per night. Top Top: If you’re traveling throughout Western Australia and think you might visit many of the states National Parks then a parks pass might be the go. The cost of the pass covers your entry fee, camping fees still apply. 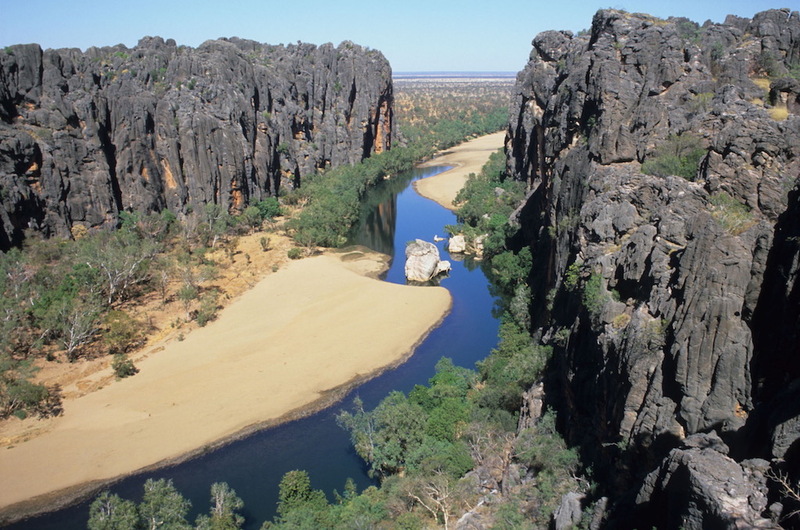 From the Windjana Gorge campground, Tunnel Creek is 38km further along the Fairfield – Leopold Downs Road. Top Tip: Before you get to Tunnel Creek stop and check out the ruins of the old Lillimilura police station. It’s roughly 3km down the Fairfield – Leopold Downs road from the Windjana campground. As you are driving along the ranges will be on your left-hand side, until you cross through McSherry Gap. This is a really cool spot, because from here on the ranges will be on your right, keep an eye out and take note. The turn-off into the Tunnel Creek car park is 7.5km further along from McSherry Gap. Once at Tunnel Creek, it’s time to grab the torches and head off into the darkness. The entrance into the tunnel is very rocky and there is a fair degree of clambering and hopping in, around and over some sizable rocks. Having said that taken easy it is entirely achievable for anyone with pretty good fitness. Once inside things open up considerably, the ground is rocky and you will get wet. To what degree will be determined by how early or late in the season you are there. The tunnel component of Tunnel Creek has a length of approximately 750 m (2,460 ft) that runs underground and it’s one of the oldest cave systems in Western Australia. Inside the tunnel, the formations are impressive, as is the opening at the end of the tunnel which is a complete contrast to the entry. There are numerous sections of Aboriginal art scattered around, all of which is fading and becoming harder to see each time I visit. 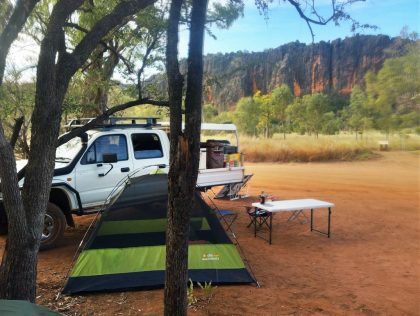 There is no camping at Tunnel Creek, once you finish your exploring you will either be continuing on towards Fitzroy Crossing and Geikie Gorge or back to your camp at Windjana Gorge Campground. Leaving Tunnel Creek you rejoin the Fairfield – Leopold Downs road its a further 70km to the Great Northern Highway make sure you do this stretch of road in good light as there is plenty to see-the rocks, escarpment and Boabs are superb, plenty to point a camera at. Another reason is cattle and lots of them. There is also one water crossing. This creek is spring feed so there is always water in it, it’s only the depth that varies, as a general rule it’s deeper earlier in the season. Coming off the Fairfield – Leopold road and onto the sealed Great Northern Highway it’s an easy 43km drive into Fitzroy Crossing. The magnificent Geikie Gorge on the Fitzroy River. return or a longer walk of 4km return. The boat cruises which run up and down the River are extremely popular and depart at various intervals during the day. Check for times at the Fitzroy Visitor Center or the Fitzroy River Lodge. 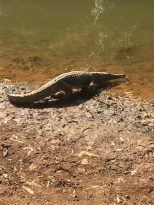 Top Tip: The Fitzroy River Lodge is a nice place to stay a while, they have everything you need for a night or a few days. 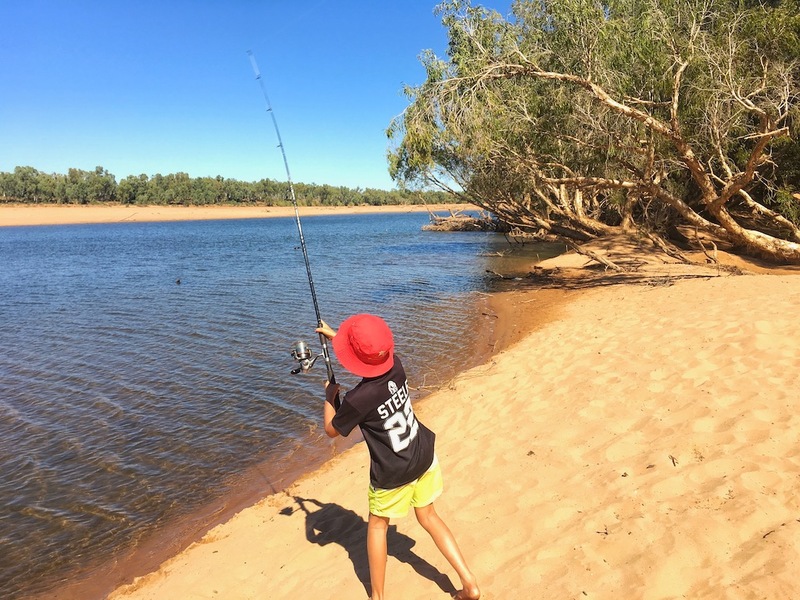 If there is a member of the family who likes fishing, the sandbar has easy and safe access to the river, especially for the kids. The sandbar is a safe place for kids to have a fish & play. Enjoying a fish on the sandbar. While at the National Park include a picnic lunch into your day. A boat cruise, a walk, perhaps a little fishing with a picnic- a lovely day can be had. Have a look at the old Post Office/Telegraph station – first built 1895. Check out the pioneer cemetery – earliest marked grave 1908. Main bridge over Fitzroy River, wander down onto the river (provided it’s dry) near the bridge and look up. Now imagine the water up near the top of the bridge. This will exhaust anyone’s imagination as to the volume of wet season water that flows. From Fitzroy Crossing back to this juncture in the highway is distance of 156km. This is pretty much a straight stretch of road, dotted with boab trees of varying sizes to entertain the eye. Once you reach this junction in the highway, turn left and head South. Once you’re on the Great Northern Highway heading southwest you’re 60km from the Willare Roadhouse. This is a good place for a rest, with everything you’ll need. If you have time take a moment and walk across the bridge, it has a pedestrian walkway and gives you a great look at the Fitzroy River. Top Tip: Try the hamburger with the lot (Make sure you starve yourself first) & try not to purchase fuel here if you can help it – very expensive. The final stage of the trip a distance of 166km. 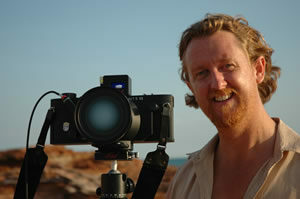 Total Distance of the trip from Broome – Return to Broome. This is to complete the Windjana-Geikie Way via Derby, Fairfield -Leopold Rd, Fitzroy Crossing, returning to Broome via Great Northern Highway. Note: This would be increased by at least 40km if you went to Tunnel Creek and Lillimilura police station ruins return from Windjana Campground. A 1000km is a nice round number to work with for fuel purposes. Most people don’t have a range of 950+km to complete the round trip on one tank, filling up just the once in Broome before departure and again on return. It also has to be realized that between Derby & Fitzroy Crossing via the Fairfield-Leopold Downs Road is a distance of 300km, without any side trips or backwards and forwarding, with no available fuel. So main refueling opportunities after leaving Broome are Derby, Fitzroy Crossing, Willare Roadhouse and Roebuck Roadhouse. It would be advisable to avoid filling up at either of the Roadhouses. So a top up in Derby and a fill up in Fitzroy Crossing will probably be the best plan. The distance from Fitzroy Crossing to Broome is about 400km and should be within the reach of most vehicles, if you’re a bit iffy the Roebuck Roadhouse is 30km before Broome, aim for that. Top Tip: If the distances are of a concern, invest in a Jerry can and carry a get – out – of – trouble 20 litres. I’m always a little bit hesitant to give a too strong opinion on how long people should or shouldn’t stay due to the fact people are on different timelines and schedules. People get more out of one place but find nothing in another, and above all I always say the more time you have the better. Having said all that 3 days is a reasonable time, adding a 4th will give you time to sit down somewhere. Continue on to Fitzroy Crossing – camp the night. Proceed into Derby, check out the Jetty, One Mile Dinner Camp Boab & Mowanjem Aboriginal art gallery. Finish day at Windjana Gorge Campground. 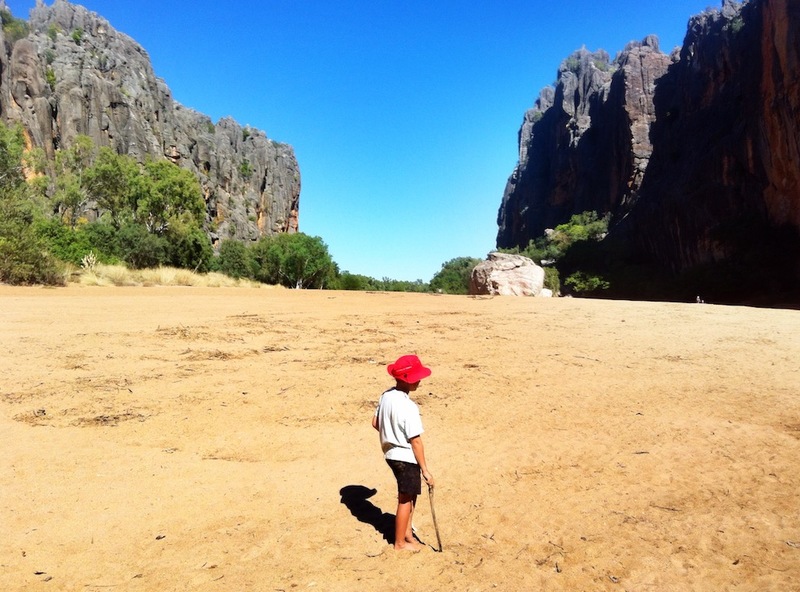 Spend entire day exploring Windjana Gorge. 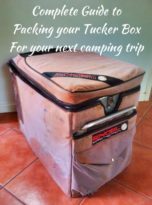 Explore Tunnel Creek then proceed to Fitzroy Crossing – camp the night. 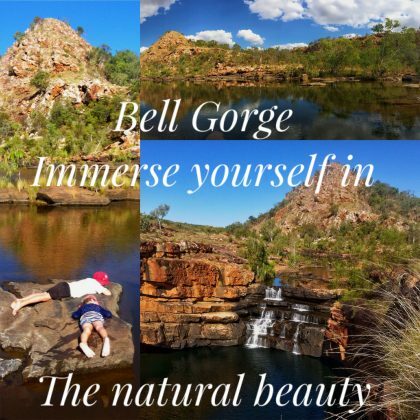 Get on the first cruise of the day at Geikie Gorge, explore for a bit after the cruise depart Fitzroy no later than 2pm to be back in Broome around dark. If you have the luxury of a fifth day spend it wherever you think you might like the extra time. It buys you time to breathe. By Kimberley standards in regards to distance this is a mere detour, however, its a detour that punches well above its weight – it’s fantastic. 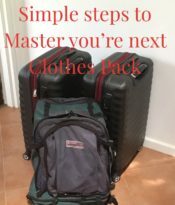 No matter how you decide to do it, wheather it be a day trip out of Fitzroy Crossing or Derby or a few days out bush camping it won’t be time wasted and you won’t be disappointed. Boabs, each one a character, many will leave a lasting impression. Great read once again!! 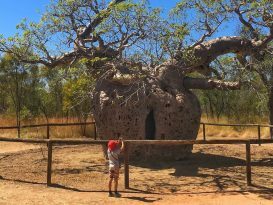 I always love a Boab! Driving to Derby from Broome as the sunrises would have to be one of the most amazing sites. 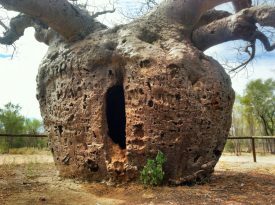 Boab’s are so individual each one full of character. 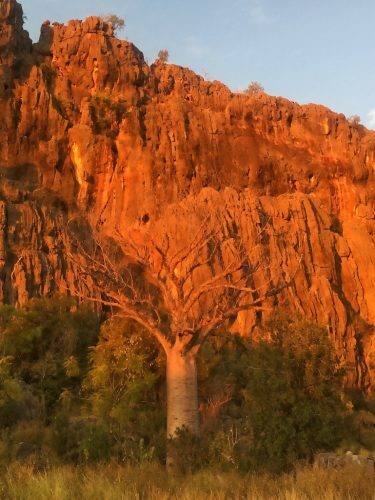 The drive from Broome to Derby is full of great Boab’s and sunrise is such a wonderful time of day. Glad you enjoyed the blog Ang and thanks so much for taking a moment to leave a comment.